After defeating some of the world’s best Dota 2 players in a 1vs1 match, Elon Musk’s OpenAI Team has lost the first bout in a three-match series against the five players of Team paiN. After beating Danil “Dendi” Ishutin, one of the best Dota 2 players in the world in a best of three 1vs1 tournaments, Elon Musk’s OpenAI set a new milestone for AI. 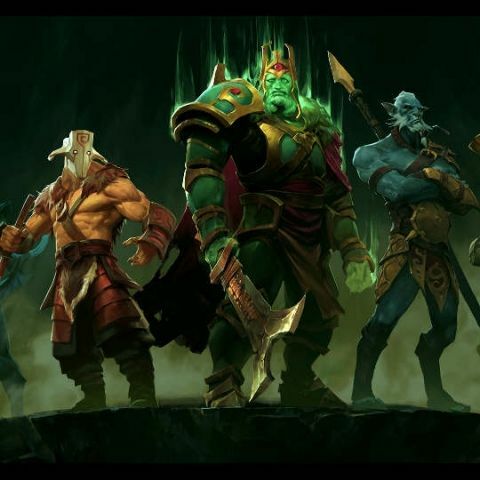 However, it seems that the AI needs more training as a team of five AI bots was beaten by human pro gamers at The International, the ongoing Dota 2 tournament. However, this happened in the first of the three games that are scheduled this week and the first victory for humans didn’t come so easily. The battle between five players of Team paiN from Brazil and OpenAI Five lasted a little over 45 minutes. “We were definitely less confident about winning this time around because the pros are a lot harder to face. It’s disappointing to lose, but I’m happy that we could stand against a top team in such a long match,” Filip Wolski, a member of technical staff at OpenAI, told The Register. Dota 2 is a quite complex game where one can choose from hundred of playable characters, all with varying powers. Add upgrades and the ability to buy gold for strengthening the characters and it makes the game even more complex. As OpenAI can’t handle such a vast majority of decisions, the matches are being played with certain restrictions. These limitations were also followed by OpenAI during the previous 1vs1 tournament. This time, the number of AI heroes playable in each match has been increased from five to 18. Both the teams agreed upon the characters chosen for the OpenAI and Team paiN and the reaction time for the agents has also been increased from 80 to 200 milliseconds to give the humans players a chance. Items such as a bottle, which could not be used previously in the game, are now allowed. Additionally, only one killable courier instead of five invincible are enabled. Artificial Intelligence is a hot topic of debate and while many believe that it should be strictly regulated, others believe that AI has not reached a stage where we should be too concerned about it. AI has already defeated the best chess and Go players in the world but it seems that it is still a long ways away from taking on complex tasks that require handling multiple variables concurrently. There are two more round of the Dota 2 tournament left and it will be interesting to see what the bots have taken away from their first loss and whether they will be able to best humans with the learned knowledge.